The New York-based Senvest and Endeavor from Los Angeles are the two new strategic investors of Saavn. 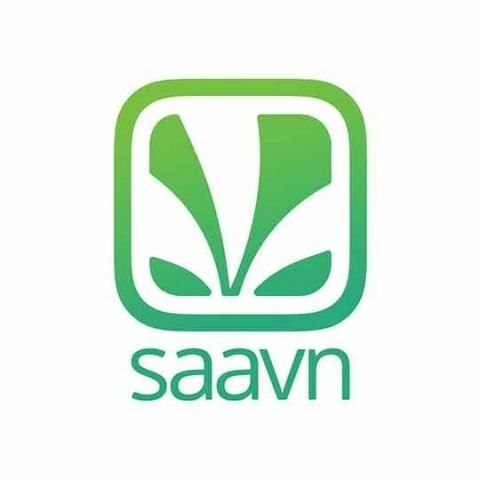 Saavn has gained two new strategic investors, Senvest Management LLC which is based in New York and the entertainment company, Endeavor from Los Angeles. According to Saavn, this will be Senvest’s first investment in India. Apart from the new investors, Saavn says that its latest in-house music track “Bom Diggy” has reached the no. 1 spot on the iTunes India download charts and Snapchat has also featured a partnered music lens in India. Saavn continues to innovate the music streaming business model with releases from its in-house label, strategic partnerships, and new global investors. Saavn's latest release, Bom Diggy, is one of the fastest rising tracks in India, and is the first time Snapchat has featured a partnered music Lens in India. The Lens is currently available to Snapchatters in India and several neighboring countries, and helped propel the already-charting Bom Diggy to the #1 spot on the iTunes India download charts. The track is a collaboration between U.K.-based independent artists Zack Knight and Jasmin Walia, both of South Asian descent. The track released in August, exclusive to Saavn for streaming in the region, but available for streaming and download outside the region on platforms like Apple Music, Spotify, and iTunes for download. Since its release, Bom Diggy has garnered over 16 million streams on Saavn, as well as 20 million views across YouTube and other streaming platforms. With more than 3 million streams on global platforms including iTunes, Spotify, Soundcloud, and Apple Music, Bom Diggy has been among the top five tracks on Shazam’s “India Top 100” charts. Apple Music included the song in their “A-List: Indian Pop” playlist, and the track appeared on “Filtr’s Bollywood Top 50” Playlist on Spotify. The song premiered at #1 on the BBC Asian Music charts and continued at the top spot for seven straight weeks. Currently, a number of high profile remixes are also in development. "Our evolution from a music streaming service to a platform for the arts has been a multi-year vision for the company. India's music landscape and listening behaviors are unique amongst all other global markets. We have always been dedicated to delivering the most networked experience for our users. The cross-platform success of our latest music release is a combination of high-touch A&R, distribution strength of Saavn, and coordinated integration with platforms like Snapchat and Instagram. Today, the way you get content in the air and noticed has a very different composition than years ago. Key playlists are the new radio and targeted social tools give fans all the power to elevate artists to the top of the charts," said Rishi Malhotra, Co-founder and CEO, Saavn. For Senvest, this will be the company’s first investment in India. Each of the new partnerships further demonstrate Saavn’s continued commitment to merging key media and tech players within South Asia’s high-growth music market. "Streaming audiences and digital revenue continue to grow on a global scale,” Malhotra continued. “Senvest and Endeavor represent exciting new investors for us and we're honored be the platform that connects East and West. South Asian culture is truly global and borderless." These new developments follow Amazon’s Alexa launch in India. In October, Saavn teamed up with Amazon to use the Alexa Skills Kit to enable its music streaming on Amazon Echo devices. This marks Saavn’s first foray into the Voice UI space, which continues to grow as global tech companies prioritize the interface for Auto and Home. The Saavn-enabled Alexa products began shipping to customers in India on October 31st. Which is better ?saavn or hungama? Will a 300 Watts/500 VA UPS handle 500W Peak Output SMPS in normal use and as well as in case of fluctuation ?